The Sonos Playbar is a finely crafted, low profile soundbar system that doesn’t necessarily call much attention to itself, yet still has enough design appeal to get noticed in your living environment as an aesthetically pleasing “easy on the eyes” decor item. The Playbar measures just over 35″ wide and only 3.35″ high, and will mate well with most flat panel TVs. The Playbar can be placed on an A/V cabinet below your TV’s screen or wall mounted using the built-in keyhole brackets. Sound output is made possible by nine speakers – six midrange and three tweeters – each powered by its own dedicated Class-D digital amplifier which is perfectly tuned to match the speakers and acoustic architecture. Setting up the Sonos Playbar is quick and easy and connects to your TV’s digital optical output port using the supplied digital optical cable. I must point out however, that this is the only option for connecting the soundbar to your TV. No HDMI or analog RCA inputs are available. The remainder of the setup procedure must be done through the Sonos Controller app for Android or iOS smartphone or tablet devices. In addition, the Playbar must be connected to your network via Wi-Fi or Ethernet connection to complete this setup process. 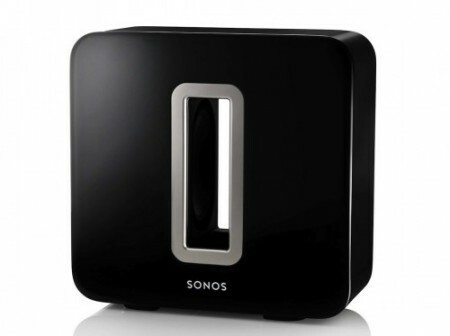 To get the most out of the Playbar, you must use the Sonos app to take advantage of the digital music software. Using your mobile device as a controller will allow you to access digital music from your own playlist located on your smartphone or tablet, or from music streaming services such as Amazon Cloud Player, Spotify, Google Play Music, Beats Music, Pandora, Deezer, iHeartRadio and more. The Sonos Playbar offers various sound settings to customize your listening experience and include a speech enhancement setting that makes the TV’s dialog easier to hear; and a night sound setting that adjusts the audio for night time viewing so you can reduce the volume and still experience proper balance and range. While watching movies or TV programming that contain a Dolby Digital audio track, the Playbar will decode up to six discrete sound channels for enhanced audio quality. But there is a possible caveat with this scenario – the majority of TVs produced today will down convert Dolby Digital (surround) signals to 2-channel stereo signals when output through their digital optical port. You will still hear a surround sound effect, but it will be simulated using the soundbar’s own processing instead of the original surround sound mix. One other note – the Sonos Playbar will not decode or pass-through a DTS surround sound audio mix, however, on the other hand, very few if any TVs will process a true DTS surround mix. With that said, this omission should not be a problem. The Sonos Playbar does what it’s supposed to do, and does it well… movie and TV sound comes to life with an enveloping room filling sound that is articulate, detailed and well balanced with very good dynamics. Even without the use of subwoofer, low frequency output has plenty of midbass punch for such a compact system. However, if you want to add more bass output to this system, you can add the Sonos Sub for a 3.1 setup which will add the deep bass that is contained in the low-frequency effects channel of movie sound tracks. Also, if you desire full home theater surround sound in your listening environment, you can add a pair of Play:1‘s for a complete 5.1 home theater setup. All Sonos speakers use Wi-Fi for easy room integration. The Sonos Player also performs very well with music playback. Bass is tight and tuneful, while mid and high frequencies are clearly resolved and articulate in nature. Vocal performances are also delivered with good clarity and intelligibility. Even though the Playbar does a good job playing music, purist may frown upon the surround sound processing that is added to music playback. The Sonos Playbar’s sonic performance does a commendable job at delivering movie and TV sound. And with its excellent virtual surround sound processing, you can enjoy a full and enveloping audio experience from a single speaker. And with music, Sonos also has you covered, delivering an engaging and immersive musical presentation that is pleasing to your ears. 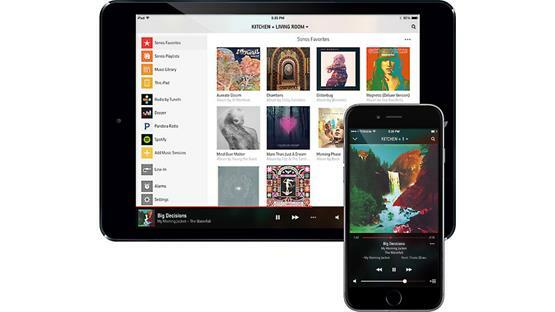 And let’s not forget about this systems amazing digital music software app that allows you to have access to all your favorite music via your smartphone or tablet and listen wirelessly anywhere throughout your home with additional Sonos speakers. Sure, the Playbar may be a bit pricey for some, and music purist may be discouraged by surround sound processing being added to their music… but other than that, the Sonos Playbar may be a good choice for you. So why not give it an audition and decide for yourself.